We are less than a week away from leaving on what will be the first big trip we have taken in over 10 years. We are going to Greece for two weeks; an island of Greece, actually — Patmos — where I will have the privilege of participating in a writing “salon” with Cheryl Strayed. Gordy has the privilege of being my companion. Ha! This is an interesting role reversal, is it not? I admit to some anxiety as to how (and whether) he will keep himself well-occupied, but there is always a good tavern and food to explore. He will be just fine and my joy in having him with on this great experience is unbounded. 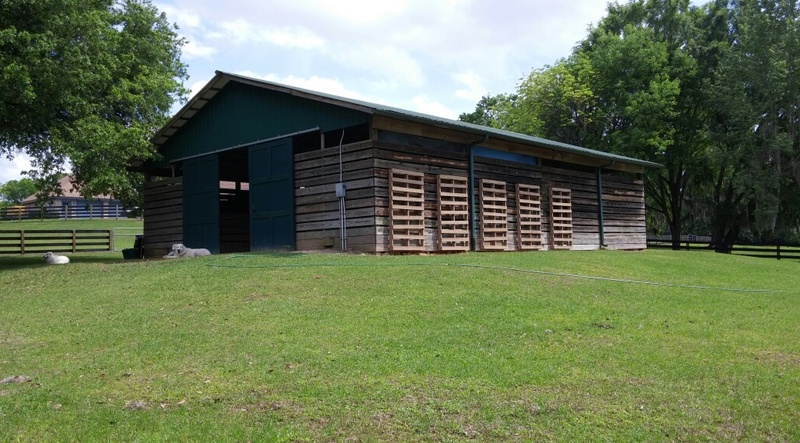 We said yes to this opportunity at the end of last year when we were living in California and did not yet know that, after several years of waiting, we would get an offer on the ranch enabling and compelling us to dust off our dream of planting our feet in Ocala, Florida. And so we did, maneuvering ourselves (and all of our creature tribe) clear across the country to come to a place, this place, our home, full of solidness and potential and so in need of renovation, it screams. 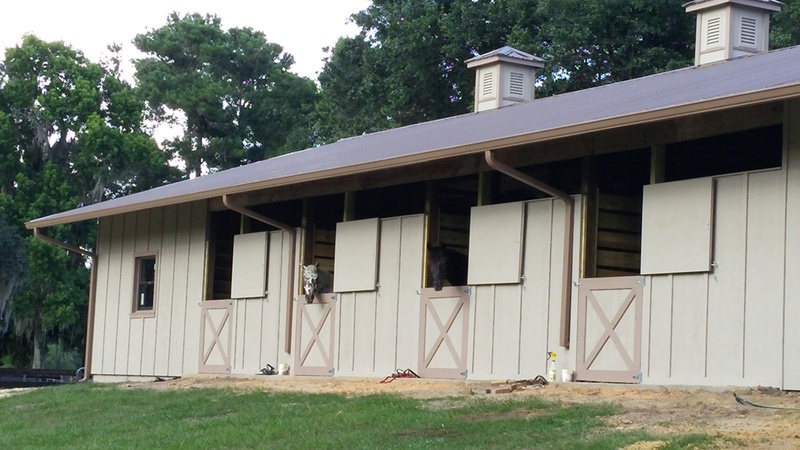 Seriously, this is a barn. This was a huge amount of work; perhaps you could tell? While this transformation was happening, we worked on plans for the house, a whole house redo to be done in two stages so that we could still live there with some semblance of normalcy. No, that’s not quite true. We have been camping out in the house, basically, since we moved here, so when I say “normalcy”, I am really comparing it to that. Not really full-on normalcy. Not really, at all. 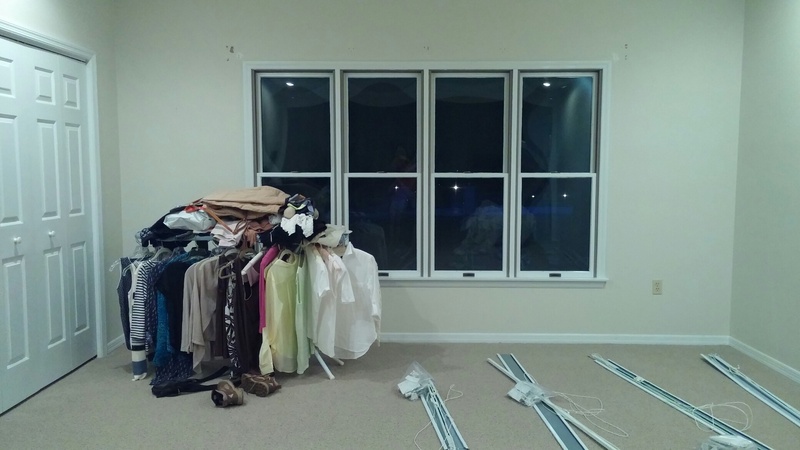 Greece on the left, dismantled window hardware on the right; empty house otherwise. I am writing about all of this (which is really not worth much bother at all) in order to avoid writing about the thing that is uppermost on my mind and in my heart. In the midst of all of this progress and excitement, there is another journey, just embarked upon. Filou is beginning to leave us. It can happen like this. Exactly like this. One day, the old guy is going along, just like the day before and the day before that and the day before that and you think — wow, how great he is doing! He’s got years left in him! How lucky are we? 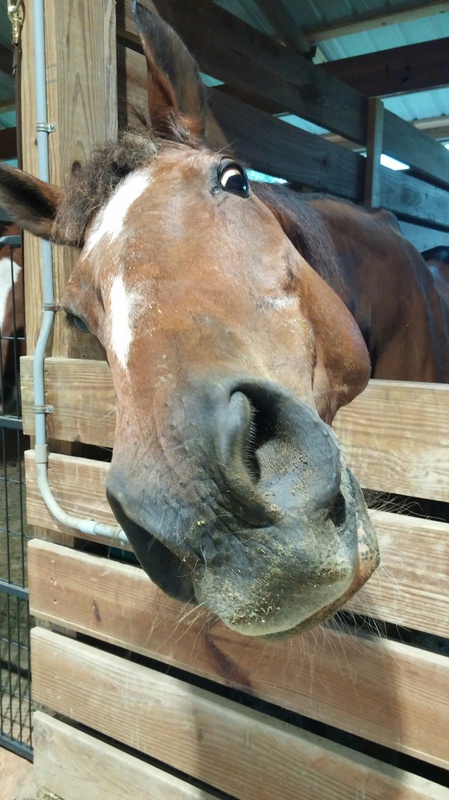 And then one of those days, the old guy greets you at the gate well ahead of everyone else and coming down the hill to the barn you think — he looks …..different. And he is different. 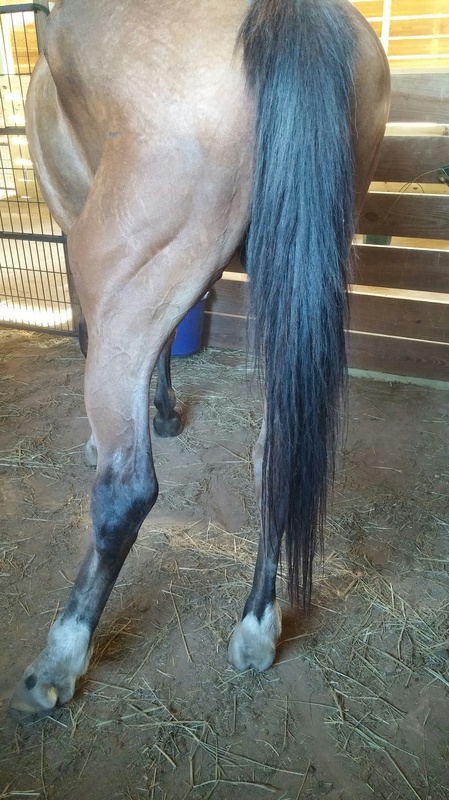 His hind end is not aligned with his body. He is curved in a carefully held “C” shape to the right and, when he walks, it is crab-like and unsteady. You call the vet (IMMEDIATELY) and she comes and turns him and touches him and says, let’s try some things and you are ALL IN on that and together you grapple for a picture of something better than this, but which will most likely not be the same as the “old” Filou — the new normal, she calls it as she puts the catheter in his vein. The best he has been. He is straighter, but still curved to the right, with his right leg doing most of the weight bearing behind. The vet returns tomorrow and we will assess what more we can do. Maybe more steroids? Maybe chiropractor? This stems from his degenerating skeletal system. Somewhere in the long line of his neck and back, some bony structure has shifted or grown bulbous and is now pinching on the pathway of a nerve. The world is not kind to a horse that does not have full use of its back end. 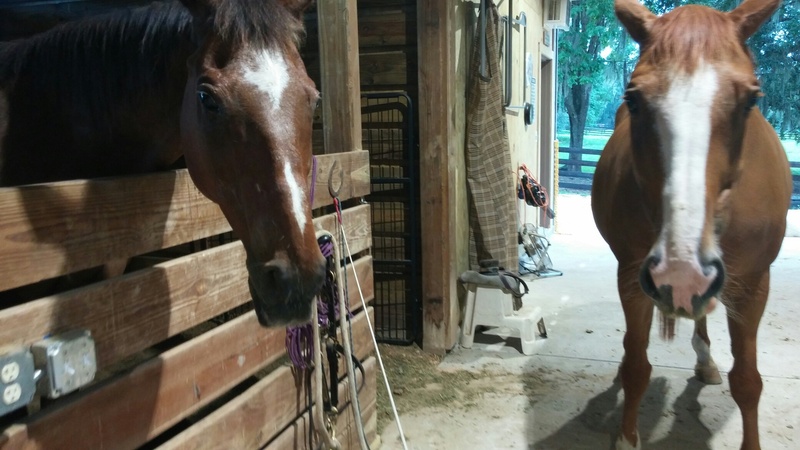 This weekend, he laid down in the fresh sand outside the barn and could not get back up, not immediately, anyway. In his defense, he was head down on a downward slope (a choice he made in order to have his strong side under him). From the house, I saw him lay down and I ran to him, as he struggled to get up and then stopped to lay full out and quiet. Crouching by his head to sooth him, he blinked, blinked and blinker slower, then closed his eyes and I watched as his tongue grew soft and thick in his mouth. I think so, yes, but it doesn’t have to be now. You get to decide. And then his eyes are not closed, but wide open and he is looking at me with what I can only describe as his full and complete “Filouness” and then lifting his head with a mighty force and (only some) help from me, he was up. He now lives in the barn and barnyard with Andante. The rest of the herd comes in at meal times, but otherwise they are separated, although Boo sometimes joins them. He cannot take the pressure of the herd, but he could not live without Andante so she has been summoned into the role of babysitter/caretaker. She is not entirely unhappy about this, because it means more alfalfa. Besides, underneath it all, she does have a gentle affection for him, though he dotes on her. He who dotes; she who tolerates. He is not in pain, although I am sure he has discomfort. 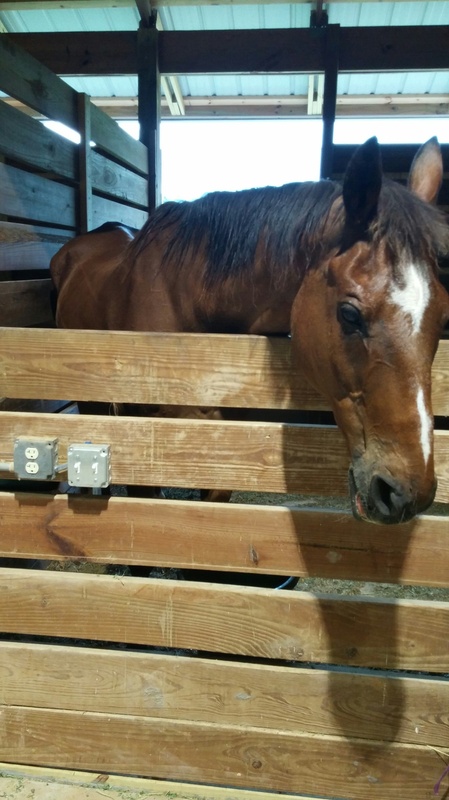 He takes frequent rests in his stall and, when he does, he leans his hip against the wall so that his right leg does not have to plant so far under himself. That is what he is doing here. Taking care of himself as best he knows how. He leans so hard and frequently that he gave himself a bed sore so we padded the cross-board and that has cleared up. He is eager for treats and rubs and seems content with his new arrangement. Again, I do not believe he is in pain. I also do not know how long it will be before it turns to pain. I am hopeful there is more we can do for him, to help him adapt and/or make him more functional. Monday will tell us more on that. I do not want him to leave me, but I know he will …. some day. I DO want him to be able to do it on his own terms. Right now, he’s good. I will be gone for two whole weeks. That does not sit completely well inside of me, but it is what I am going to do. I have the best of people to take care of and watch over him while we are gone …. and to make decisions with him, if it comes to that. He knows I am with him on that. Regardless of where I am on the planet when the time comes, he knows I am with him. Outstanding! Glad you’re able to get into the writers’ retreat in Greece. Am envious and would love to do it myself. Jane and I went to Christina Baldwin’s Self as Source of the Story at COD Ranch in Arizona in 2001, and that was what catapulted Jane into joining me to write our memoir. It was published in 2010 – about 10 years after I’d started writing it. Who could have guessed?? Know you will be with Filou in spirit, no matter the outcome. Blessings to you. Thank you, Bonnie. I read your book! Think how brave you were and are in your journey and how the times have changed because you are changing the times! I remember when he found you…….precious. Oh, Sheila, what a flash back! He came in order to show that everything was worthwhile. It was. And is.